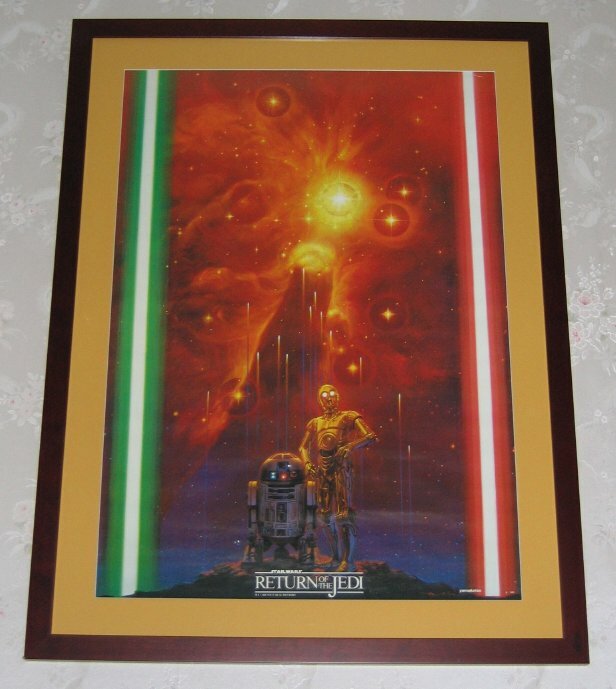 This is one of the most highly prized Star Wars posters. It was extremely difficult to find in Japan even at the time of Return of the Jedi. The brilliant artwork is large favorite among collectors. The design shows C-3PO and R2-D2 in front of what looks like the smokestack nebula with Luke and Vader's lightsabers on either side.